Valencia, Tuesday, 2am. Inside a trendy gin-bar, disco is playing and revellers pack the place. Backpackers and students mingle side by side on a crowded dancefloor, making plans to meet at the city's beach and sharing tales of bullfights or where to find the tastiest paella and freshest orange juice. To one side of the bar, four males watch a space open up on the dancefloor. A space in the crowd is carved by one man making his way back from the DJ booth. The music switches to a different pounding drum beat - the unmistakable introduction to the Rolling Stones' superhit, '(I Can't Get No) Satisfaction' kicks in just as the man walks across the dancefloor. And the man breaks into a dance. His shirt's undone, he's wearing flashing, novelty-sized sunglasses. People stare but he carries on unperturbed. The world must see his bare-chested Mick Jagger impression, complete with hand claps and foot stamps, pouted lips and finger points into the crowd. Three Swedish backpackers take photos and join in. That man is Daniel Pickup. Here's his contribution to the Wheels Of Steel. Theme: Musicians to have a drink with. Genre: Indie with a bit of Soul. A. Usually keeps me sane in rush hour traffic but I’ll have to say down BCC with a few beers. Q. The playlist's on, what are we drinking and what are we eating? A. Lager, sometimes cider. Different drinks for... different needs. Q. Which track(s) had to be on there? A. Hmm, Pickup mused, I’ll say “Be Safe” but mainly because I saw them play it in Manchester recently and it went down a storm! Been playing it daily since! Q. Which track(s) might people have never heard of? A. Maybe The Growlers’ track. The City Club album is top drawer and you can definitely hear The Strokes’ influence in there. Q. Is there a theme or anything? A. Not really. Although it’s mainly artists that I’d love to go for a beer with! A. A few gems from some big rock/indie names with a soulful interlude! Opening track from Arctic Monkey’s breakthrough album “Whatever People Say I Am, That’s What I’m Not”. Track that pretty much sums up the album; a group of young, working class Sheffield lads describing nights on the town and all the normal things that come the way of lads that age! The band of their generation. Absolute belter from Wakefield’s finest who have managed to retain cult status despite their commercial success. Sonic Youth’s Lee Ranaldo provides the Baz Luhrmann-style deconstruction of modern life. Californian band who are signed to Julian Casablancas’ record label. The track is taken from their recent album “City Club” which the former Strokes’ frontman also helped produce. If it’s good enough for him, right?! Just a dead cool sounding track mainly thanks to that funky bass line. Catchy alt-folk number from Glasgow’s rising star. Massive in Scotland but yet to really crack it south of the border. No nonsense lyrics, loop pedals and a catchy guitar riff. Northern Soul anthem. Only 250 copies of the record were made and most were destroyed by Frank himself. Only a handful survived resulting in one being sold for £25,000 in 2009. Still the most expensive record ever sold. Money well spent I’d say. Keith Richards at his absolute best. Stunning intro. The name was later used for the documentary of the infamous Altamont concert. They weren’t the only ones needing shelter that night. Released in the mid 70’s after a spell away from music, it proved to be a massive comeback hit for King. Marked a shift towards a disco/funk style for the former Drifters’ man. One from Alex Turner’s intermittent project with Miles Kane. Had tickets to see them last time round but had to give them up for a Worsley Cup semi-final. It still hurts. Brilliantly repetitive rhythm. Supposedly Talking Heads’ only love song but nobody knows if it’s sweet or sad. Not even David Byrne. Fair play. Recent single from the hip-hop legends’ latest album. Sound just as good as ever on this one with Redman featuring. Beautiful soul sample from “I’ve Got The Kind of Love” by “The Diplomats”. 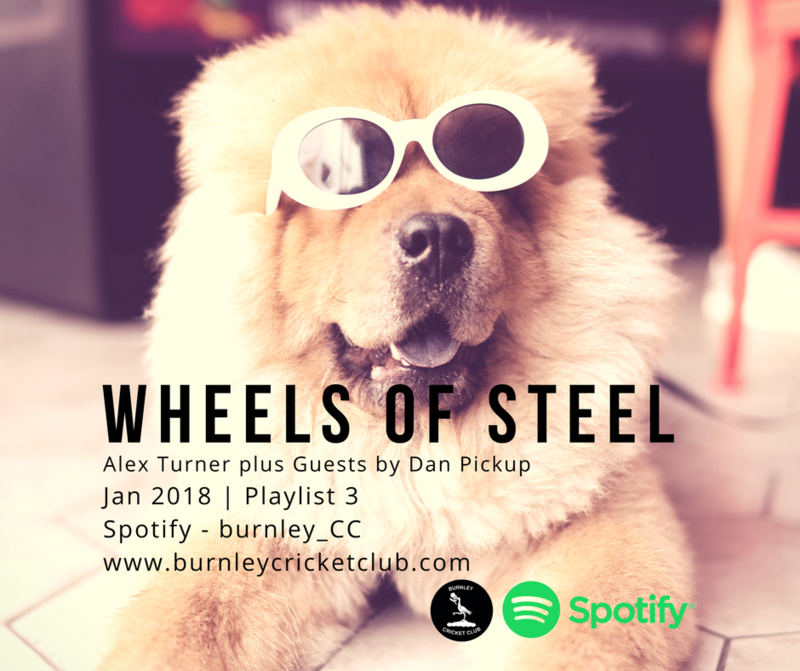 And if you don't ever want to miss out on these BCC Wheels of Steel playlists, sign up for our newsletter.